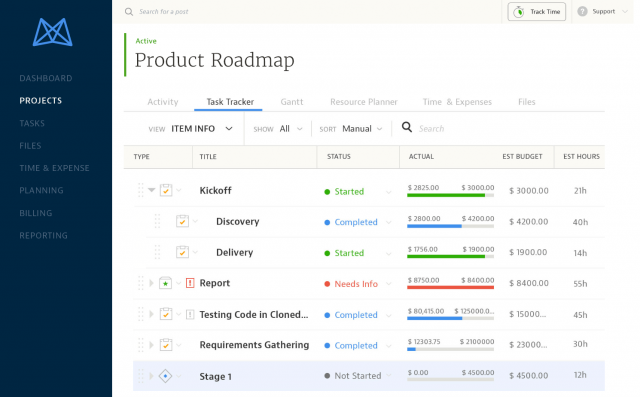 A solid project management tool that is used by small teams and large corporations alike. 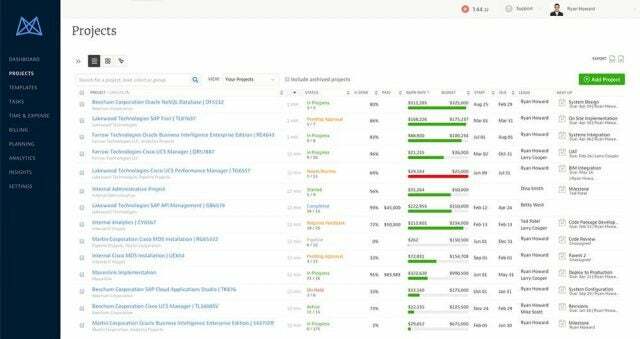 Every project management software tool has a focus and set of features that it’s known for. In the case of Mavenlink, it’s a focus on service-based businesses, where dealing with clients is paramount. It also has a great pricing tier for teams under five members. 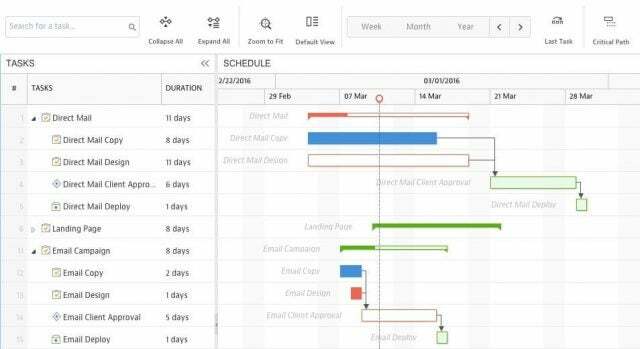 One of the key features of Mavenlink’s interface is the use of Gantt charts. That’s not a particularly original feature, but it is a very useful tool for organizing task dependencies and getting a high-level view of project tasks. Mavenlink has an attractive, largely text-centric interface, but for teams greater than five – or smaller teams with advanced needs – it gets expensive, quickly. 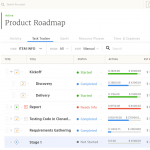 Mavenlink was founded in 2011, and while it’s not as well known as other project management software options, it does have a lot to offer its users – without the complicated pricing schemes of competitors like Asana. Mavenlink bills itself as the “modern collaborative platform”, and promises to elevate the businesses that use it. According to the company, projects are the “fuel” on which modern companies run. Its software is supposed to help you streamline these projects, allowing you to stay organized and complete each one effectively. Of course, whether Mavenlink achieves that is something you have to judge for yourself. Mavenlink offers integration with a number of customer relationship management platforms. It can create effective plans that take into account what each team member is working on, and allows everyone in the company to see what’s going on in each project. Mavenlink offers all the basics for project management, including tasks, task dependencies, and a timeline for task completion. Another cornerstone of Mavenlink is the use of Gantt charts – a type of bar chart that lets you see the progress of a project at a glance. There’s also a Gantt Baseline, which lets you compare a project’s current progress against its initial plan or an expected performance benchmark. The starting point for all Mavenlink users is the Dashboard, which is organized in a tile format. It offers a basic summary of all the issues that a user is involved in, including a tile representing each project, a list of colleagues, a list of tasks the user is responsible for, and a social media-like activity feed that displays active project conversations. Similarly, each project has its own activity hub that includes actions taken with a project, the project team list, and any posts from team members. You can also add files to this activity tracker via direct upload or Google Drive, and each project comes with its own automatically created email address for receiving activity posts and files. The key feature of any project management software is its tasks view. On Mavenlink, you can add tasks, set start and due dates, assign responsible parties, and set its status, such as “Not Started,” “Started,” “Needs Info,” and “Completed.” Mavenlink tasks also have additional fields, such as a description, tags, subtags, and checklists. Tasks can be viewed in a simple list or as a Gantt bar chart, where you can link task dependencies and view the project at-a-glance. There are also a few filters you can apply to the chart, such as a Critical Path view that shows how a project needs to progress based on task dependencies. Mavenlink doesn’t offer any of its own templates, but it does have a template feature to create your own for certain projects. This is a key feature for businesses that want to develop marketing plans or human resource events according to specific milestones. The company doesn’t offer an app store the way some of its competitors do, but it does offer customized integrations for popular products, including Slack, Hubspot, Microsoft Dynamics, Salesforce, and Google’s G Suite. Mavenlink integrates with these services via its own application programming interfaces, called M-Bridge. While customization is a nice buzzword, in this case, it means you need developers to help make it work. This video provides an overview of Mavenlink’s project workspace, which shows many of the features we covered in the previous section including tasks, activity feed, and Gantt charts. Mavenlink offers four different pricing tiers: Teams, Professional, Premier, and Enterprise. However, it only makes public the pricing for two of them, saving its upper two tiers for customized quotes. The lowest tier offering, Teams, charges $19 per month flat. Teams caps its user base at five, but you can add additional members for $4 per user, per month. 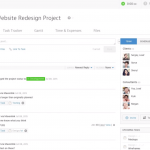 Teams features collaboration tools (activity feed, file sharing, messaging, etc.) and task management. Companies with larger needs can upgrade to Professional for $39 per user, per month, enjoying the same features found in Teams plus a time tracking feature. Next, Premier adds financial and resource planning features, but offers no public pricing. Finally, the Enterprise tier takes all the features mentioned thus far, and adds business intelligence features and more powerful services in nearly all categories. 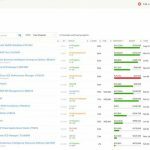 A key thing to note is that task dependencies and other critical features are not locked away in the upper pricing tiers; however, Mavenlink’s base prices are much higher than competitors’ such as Asana and Jira. Mavenlink is a clean-looking project management tool with a lot to recommend, including the ability to use key features such as task dependencies and the Gantt chart overview in the lower pricing tiers. 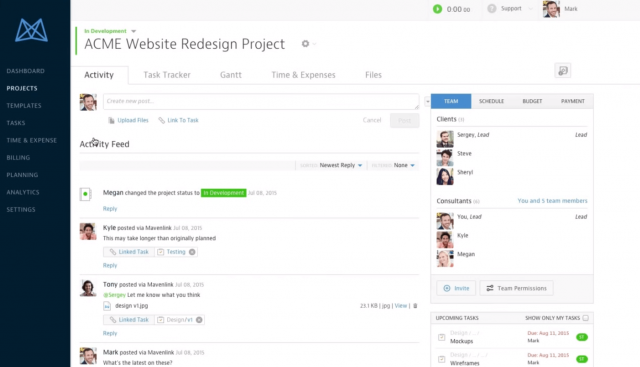 The interface isn’t quite as clean and easy to understand as something like Asana. Nevertheless, it’s a solid choice for project management, especially if all you need are tasks and other fundamentals. Once you require items such as financials or resource management, the price escalates quite significantly, and a healthy comparison with other options is well advised.